Four storylines to watch at SWAC Media Day. Media Day Season kicked off on Tuesday in Atlanta with the SIAC, and now we turn our attention to the SWAC. Here are four big questions heading into SWAC Media Day. Was last season a fluke for Alcorn State? The 2016 season was a disappointing one from start to finish for Alcorn. Coming off the two straight SWAC titles and a Celebration Bowl appearance the previous season with quarterback Lenorris Footman and plenty of returning talent, Alcorn had all of the momentum coming into the season. Then its first game against Bethune-Cookman was cancelled due to weather. Then it suffered a shocking loss to UAPB on national TV. Then the injuries mounted up. It eventually righted the ship enough to win a lackluster SWAC East and make the title game, only to see a double-figured lead turn into a seven point loss in Houston. The Braves will return a lot of fire power on offense, as the aptly-named Footman will have weapons like running backs De’Lance Turner (744 yards, 5 TDs) and Noah Johnson (440 yards, 10 TDs) along with receiver Norlando Veals (31 catches, 7 TDs) on an offense that scored 30 points per game in 2016. Is this the season Alabama State finally makes a move under Brian Jenkins? If there was ever a sleeping giant in the SWAC, it’s Alabama State. ASU has the facilities and the coach that should make it a contender every season, especially in a SWAC East that wasn’t exactly robust last season. ASU finished a disappointing 4-7, but managed to win its three of its final five games last season. The losses included a one-point heartbreaker to rival Alabama A&M in the Magic City Classic and a 21 point loss to Grambling in which it did manage to hold its opponent to almost half its scoring average. ASU allowed 27.4 points per game, second best in the SWAC in 2016. The big question mark for ASU is the offense, who scored just 26 points per game and lost its leading rusher (Khalil Thomas) and passer (Quinterious Toppings). Of course it takes time to build a winner, but when you consider that Alabama State had five winning season before brining Jenkins in, one has to wonder just how much longer it will take to turn things around in Montgomgery. Can Austin Howard carry Southern back to glory? 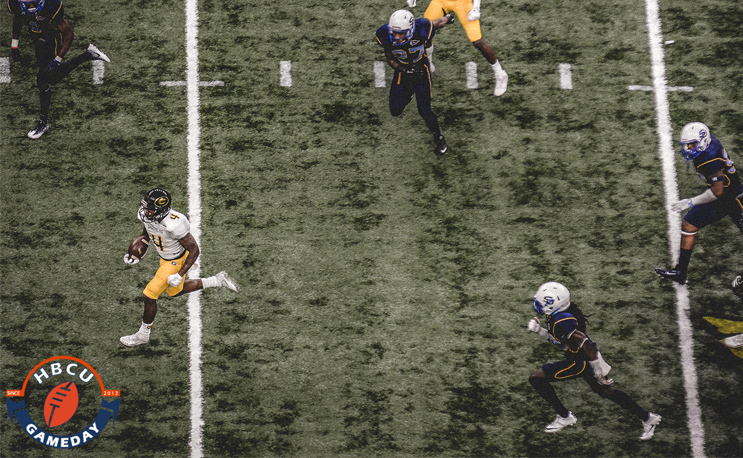 Southern had a relatively quiet 8-3 season in 2016, as Grambling garnered many of the headlines, but was never out of the SWAC title race until the second half of the Bayou Classic. They’ll look to get over the hump against GSU in 2017, but they’ll have to do it without the services of two of the finest players ever to put on an SU football uniform: running back Lenard Tillery and receiver Willie Quinn. That means the team will have to lean heavily on senior quarterback Austin Howard. Howard has improved every season at SU, throwing for 2,650 yards and 29 touchdowns to just eight interceptions on a team that scored just as many points per game (39.8) as Grambling did in 2016. The two things to watch will be if defenses play him differently now that Tillery is out of the picture and who will step up in his receiving corps to catch the passes that he dishes out? Can Grambling do it again? After two years of incremental improvements under head coach Broderick Fobbs, Grambling finally broke through in 2016, winning the SWAC title and the Celebration Bowl en route to its 25th Black College National Championship. The Tigers head into 2017 looking to repeat, and now that they’ve re-established themselves they will have a huge target on their back. Not only did they go undefeated in SWAC play during the regular season, they won each of those games by double-digits. While its high powered offense got much of the credit, it’s underrated defense went overlooked, at least until the Celebration Bowl. But the defense lost several key players which means others will have to step up. And of course, the offense suffered losses of its own two, most notably receivers Chad Williams and Verlon Hunter. But the G-Men welcome back quarterback DeVante Kincade and running back Martez Carter, two of the most dynamic players in HBCU and FCS football at their positions, which means they should still be able to score in bunches. Why not ask REAL QUESTIONS…. How do SWAC coaches feel about the cancelation of the SWAC Championship game? Do SWAC coaches feel as if Black College Football is being SYSTEMATICALLY eliminated? With HBCU’s unable to compete for National Championships, does it HURT recruiting? Why do schools like Youngstown St, and North Dakota St, build STRONG football programs, and HBCU’s tend to struggle? 24 teams compete in the FCS playoffs, isn’t ONLY ONE HBCU a problem? Black College Football Classics, were once considered MUST attend events, has that been diminished by PWCU’s having kickoff Classics in direct competition with them? Tennessee St vs FAMU in the the Atlanta Black Man Classic, has now been squeezed out for matchups like Alabama vs FSU on SAT and Tennessee vs Georgia Tech on MON. You take into consideration all the MEANINGLESS Bowl games, is the market for HBCU Football, diminishing? Does ANYONE actually care about the Celebration Bowl, and how long before it gets laid to rest as well?